Theodora Lee, winemaker and proprietor of Theopolis Vineyards is one talented lady. Though she founded her winery in 2003, I’ve only just recently been able to taste what this hidden gem has to offer — and I can’t boast enough about the wine’s I’ve tried. Pinot Noirs from Mendocino are already a favorite of mine — I’ve had quite a few exquisite ones from Anderson Valley. (Try FourSight) But the nuances the Yorkville Highlands provides this malleable varietal are in a league of their own. And Theodora knows how to work with those nuances, creating a delicate — and dare I say feminine — beauty in the bottle. 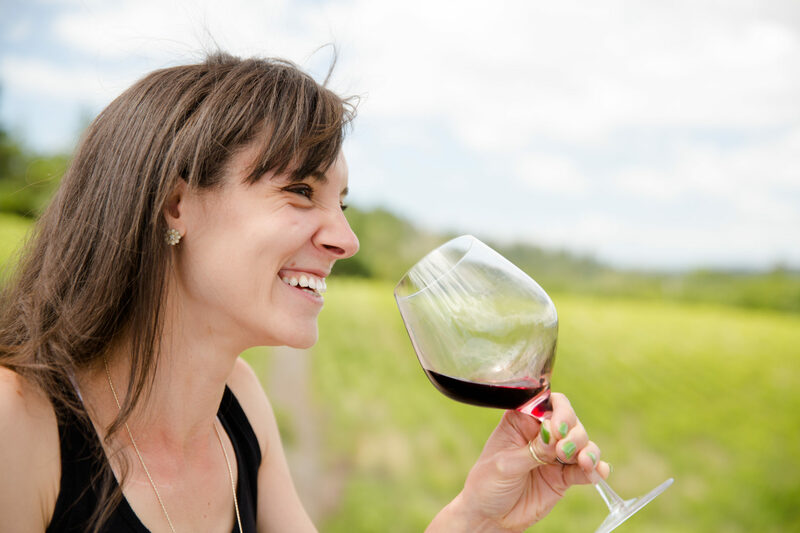 About the Winemaker: Theodora Lee moved from Texas to San Francisco in 1987 as lawyer for Littler Mendelson. She says she did so “primarily due to the influence of her law firm mentors, many of whom owned vineyards.” Well they must have influenced and mentored her well because in 2001 Lee purchased her first plot of land in Yorkville Highlands with the goal of developing her own vineyard. After two years of transforming what was once a sheep farm, she was able to plant her first 5 acres of vines. About the Wine: The Theopolis Vineyards 2015 Yorkville Highlands Pinot Noir is made from 100% Pinot Noir grapes harvested from the Theopolis estate vineyards located in the Yorkville Highlands AVA of Mendocino County, California. The grapes were fermented with all native yeast. The wine aged in 100% French Oak for 11 months. Flavor Profile: Breathe in just above the bottle neck of the Theopolis Vineyards 2015 Yorkville Highlands Pinot Noir and find the sweetness of balsamic, soy, surrounding blackberries damp and dewy with midnight sweat. This Pinot Noir is a pale pink-meets-rouge on the pour, settling just a shade darker in the glass, emitting a pure red color at its core with just an aura of rouge. Initial aromas are of black cherries, dried tree bark, and ash. You can get a sense of the acidity and a hint of floral notes so swirl. Swirl and open up brighter fruits like raspberries and strawberries, along with their vivacious acidity. Pull the nose slightly away from the glass to find scents of wildflowers, nut skins, and a very dusty ash that, though subtle, seems to linger everywhere you go. The palate is light and absolutely soft — almost cream-like — until the very end when the tannins just tickle the tongue for a delicately textural finish. Dominant flavors are of red cherries hanging on their branches, balsamic-soaked strawberries, basil, and cherry wood. Food Pairing: I paired the Theopolis Vineyards 2015 Yorkville Highlands Pinot Noir with grilled jumbo prawns on top of a corn purée with a side of roasted vegetables (fennel, endive, and red onion) which were topped with spiced nuts and fresh corn kernals. I loved how the smokiness of the shrimp rounded out the texture of the Pinot Noir even further, playing up that initial impression of “soft and cream-like.” The grilled veggies seemed to do just the same while highlighted the more earthy aromas. Perfect pairing? Well the meal was delish and the wine was delish so…yes! More Info: I received the Theopolis Vineyards 2015 Yorkville Highlands Pinot Noir as a sample for review. (Cheers Theodora!) Retail: $42. For more information about Theopolis Vineyards, their wine and to purchase wines directly, please visit the Theopolis Vineyards website.